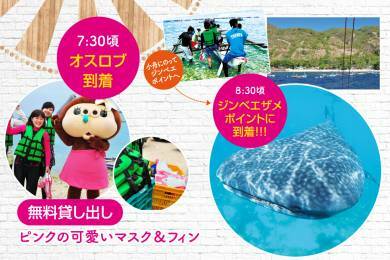 The Whale shark tour!! 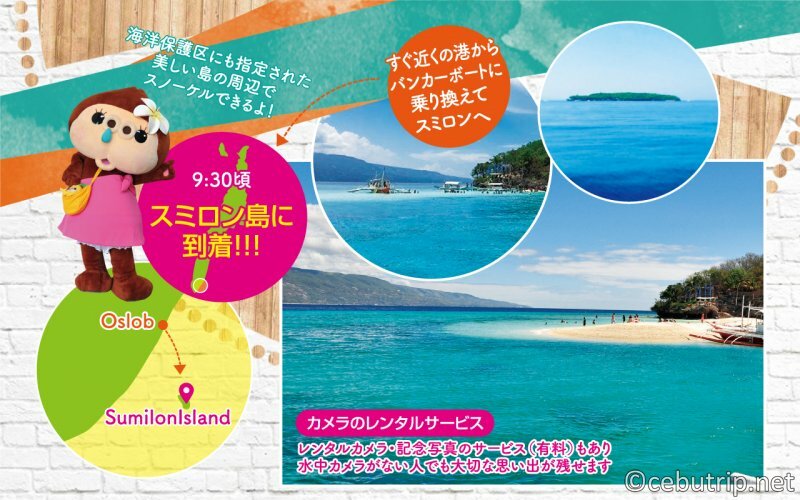 Why not go to Oslob!? 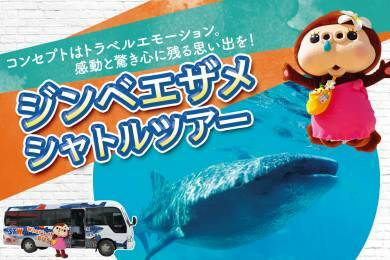 Have a great experience with Whale shark tour and beautiful water fall. 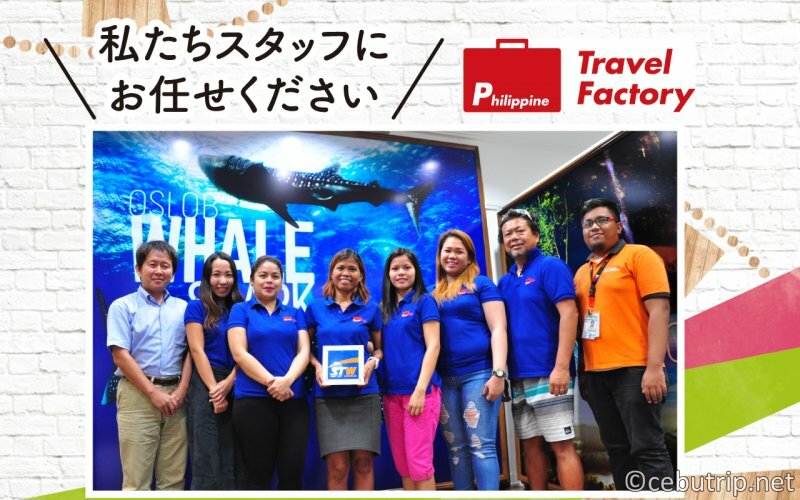 The most popular and famous tour in Cebu is about "Whale shark watching tour" in Oslob where in southern part of Cebu island. The tour can be a day trip and it takes 3 or 4hours from Cebu city and Mactan island; therefore, we have to go there from early morning. 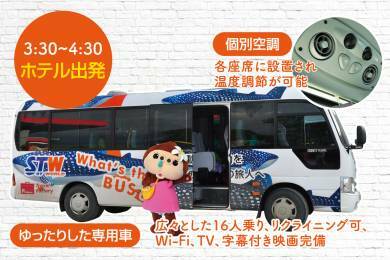 How can the long distance trip be more comfortable? 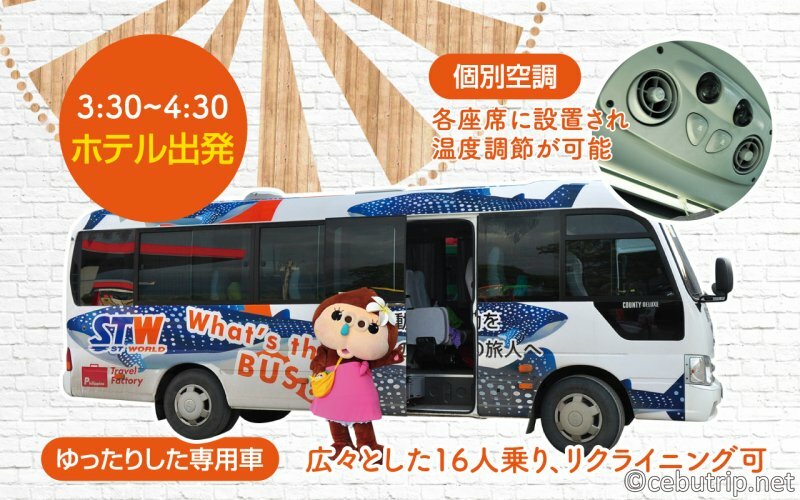 The whale shark is draw on special bus. The company modified a normal minibus. The seat is wide, and it has individual air conditioner. 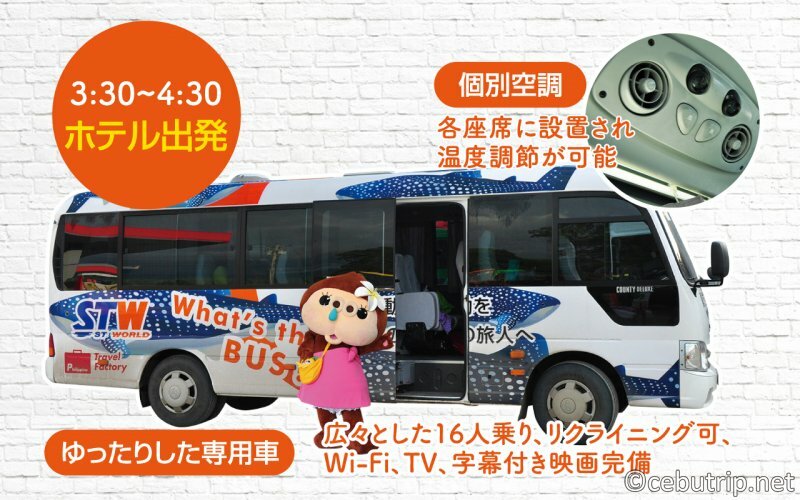 You do not need to worry about the cold inside of the bus. because you can control the temperature. In addition, we can provide two bath towels for each seats, and you can use it as blanket. This is the time schedule. 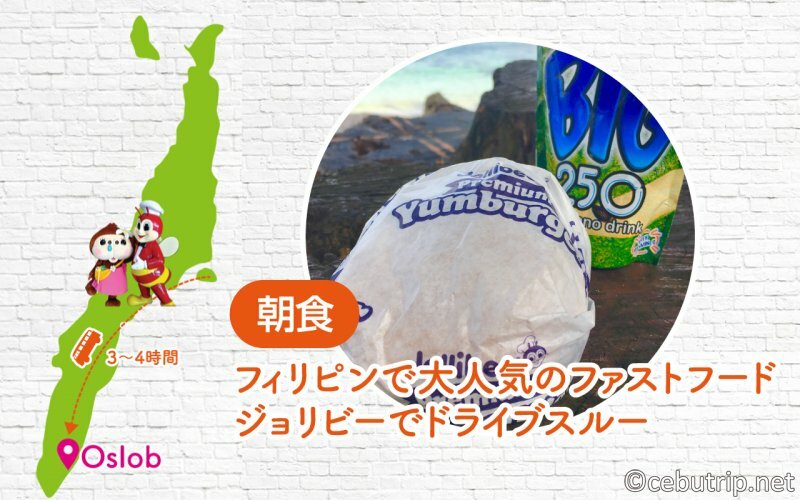 The breakfast are pancake and french fries of Jollibee which is the most popular fast food restaurant in the Philippines. A bottled water is included the breakfast and lunch. A instructor caution carefully. 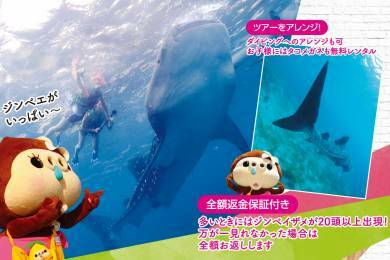 They can provide Lifejacket, pink mask, and fins are available. 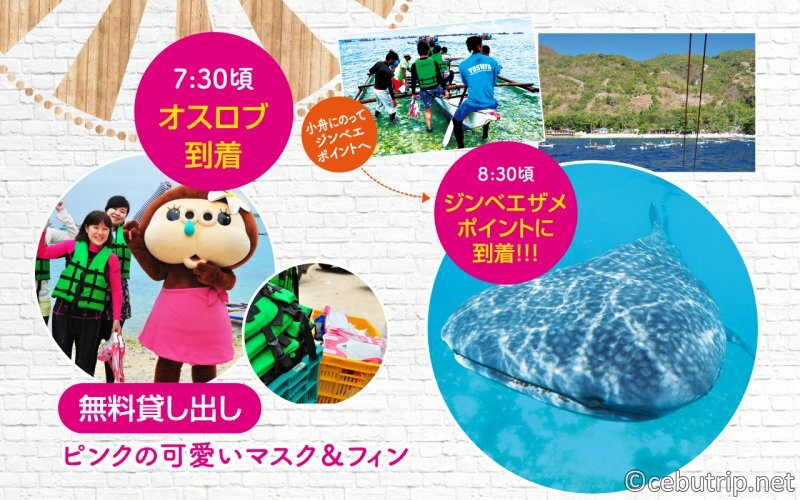 After prepared, go to the area where the whale shark is. 08：30　Arriving at the area where the whale sharks are. It takes only 5minutes by a small boat. There are many whale sharks. If you are lucky, you can see over 20 whale sharks in crystal clear water. Oslob is the only one where we can swim with whale sharks. 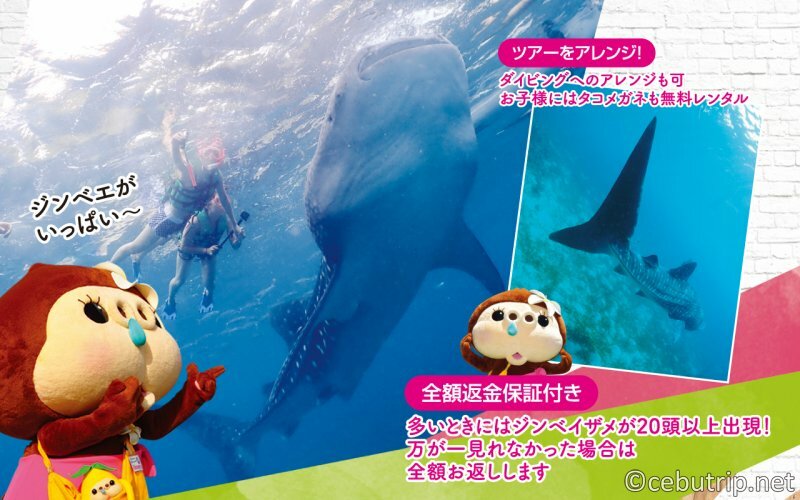 However, sometimes whale shark are not there. 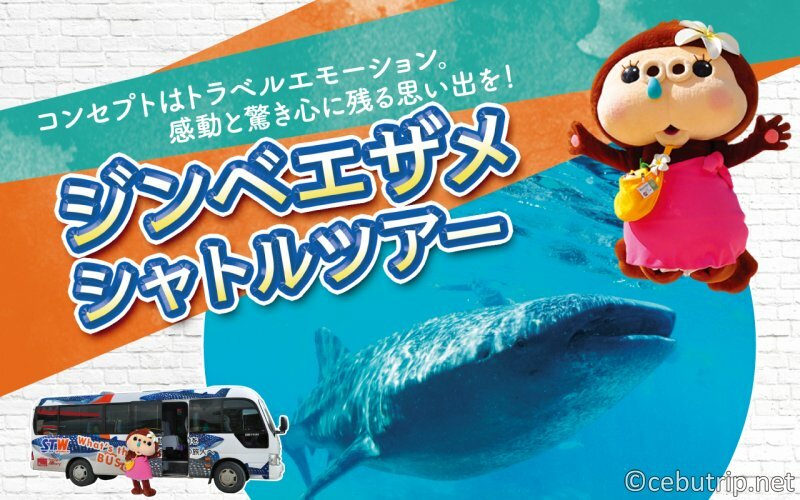 if you cannot see the whale shark, the company will refund all the payment of this tour! The company wants the customer to use the refund money for another recreation and this tour is the only one who refunds the money! And also, they accept changing to diving plan. It takes about 10minutes from the port. 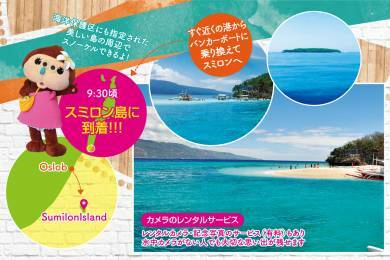 Reach the marine protected area of Sumilon island. 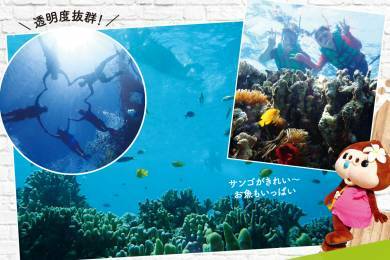 You can enjoy snorkeling. There are many fish and corals, and you can see them very clearly. 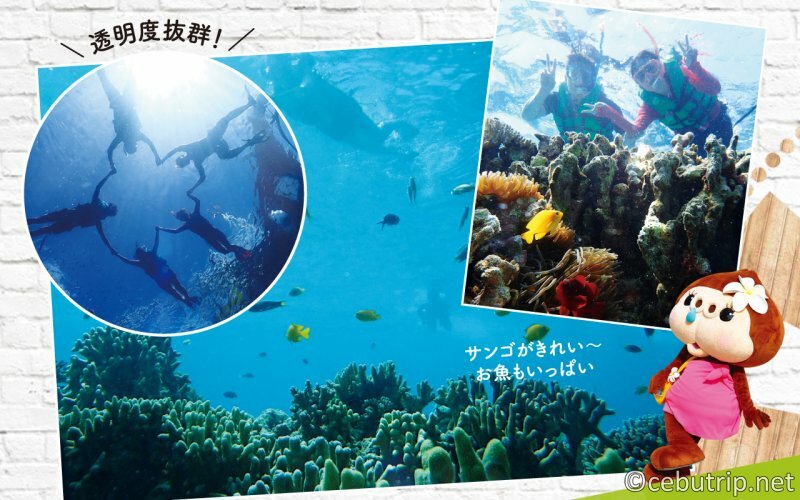 The company offers camera and commemorative photo services, so you can keep it as a memory even if you do not have an underwater camera. We offer special water glass for the person who doesn't like water or not getting use to it. No need to be in the sea!! You can see very clearly from the boat..
11：00 Next destination is Aguinid falls! Safety helmet and marine shoes are available for free. You do not need to bring them! The marine shoes prevent to slip! It works very well!! 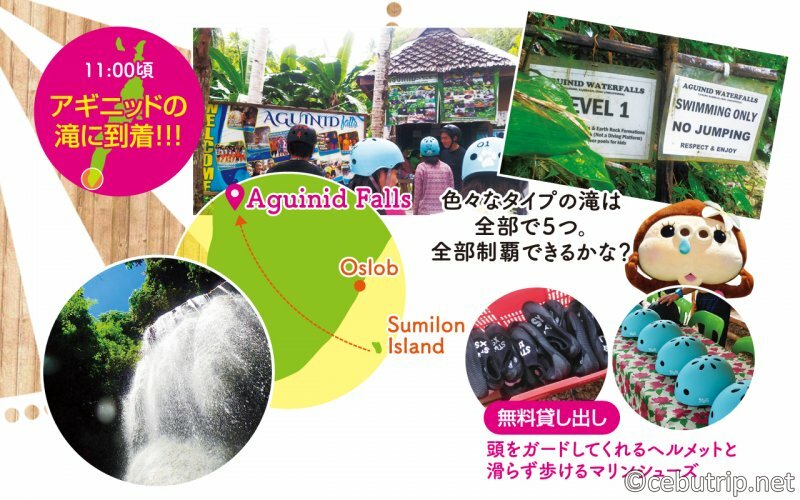 Even if you do not have confidence to climb, the special guide will support you. Therefore, you can challenge without anxious. You can climb rocks and pull in 10 meter rope, and you will reach the level 5. It takes about 30 minutes. You can jump to the waterfall basin, or you can take picture in front of the great falls. Enjoy the climbing!! 12：00　Lunch time in front of the beautiful sea. You can order fresh coconuts juices. 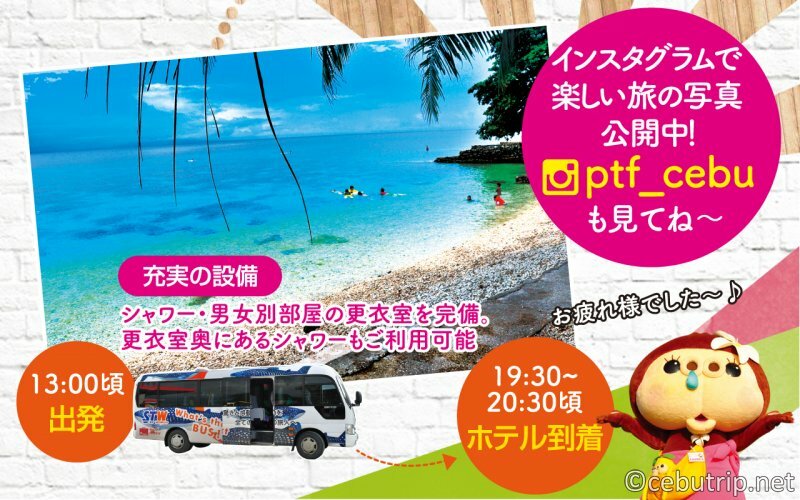 If you book this tour from Cebu Trip, we give you a coupon!! 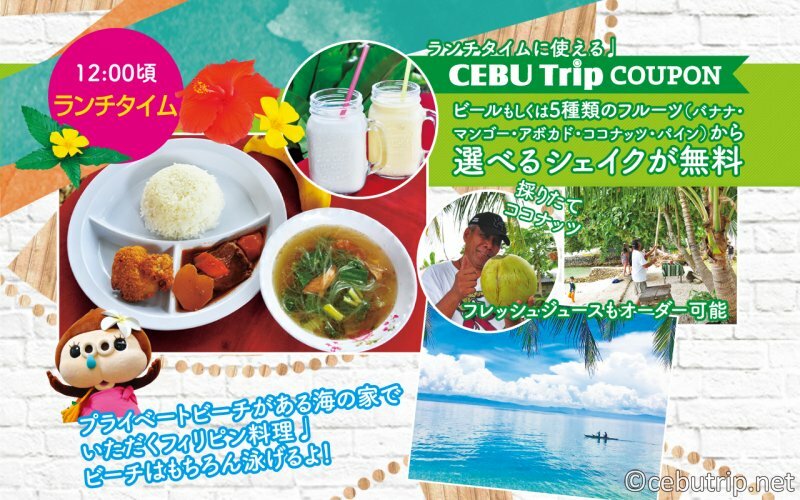 You can get a coupon If you book from cebutrip. You can drink free beer or free shake. You can swim, and also you can relax at the beach. rooms and dressing room which is separeted by gender. You can use them freely. 13：00　Leaving from Oslob. Go back to Cebu city by a comfortable bus. You will be arrived at the hotel around 19:30-20:30. Feel free to ask and contact us. You can book the tour from here.